The Imak Arthritis Thumb Stabilizer features flexible support splints on each side of the thumb that provide comfortable support, while allowing unrestricted use of the thumb. 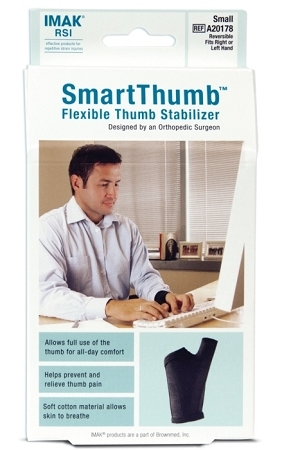 This thumb support has received the Arthritis Foundation Commendation for Ease of Use. 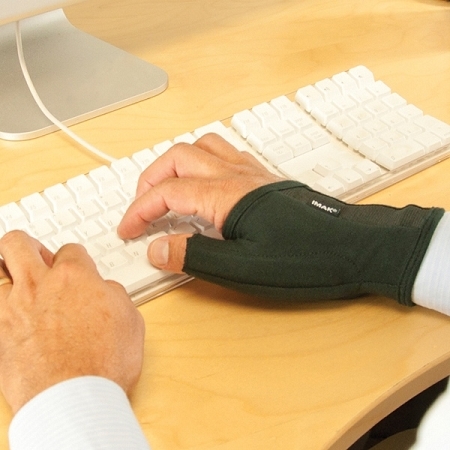 The Imak Arthritis Thumb Stabilizer is designed to help relieve sore, aching, and weak thumbs during every day activities, and is ideal for wearing when keyboarding, mousing, gaming or performing repetitive tasks. Two flexible support splints, one on each side of the thumb, provide comfortable support, yet allow unrestricted use of the thumb. The top of the glove features an elastic inset for a better fit and a foam cushion under the wrist and palm protects the palm and wrist. The support pulls on easily, without hassle of hook and loop straps, and is reversible to fit either hand. 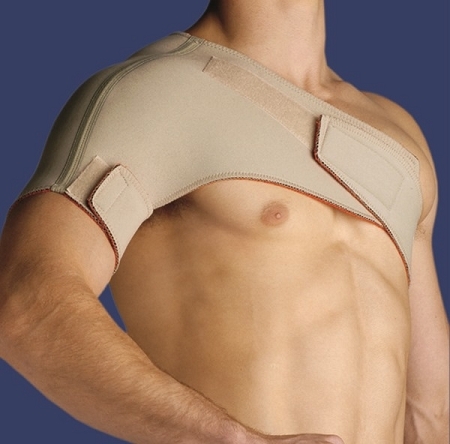 The soft cotton material allows skin to breathe, and provides mild compression and warmth. 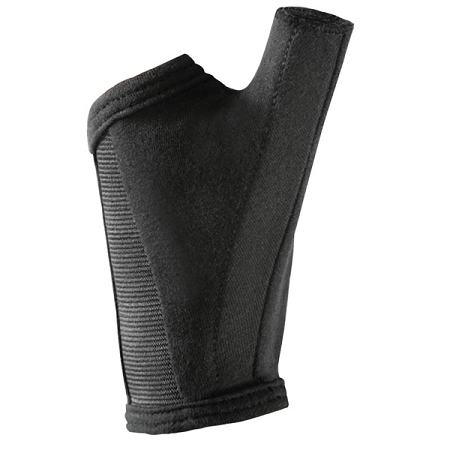 The thumb splint is available in Small, Medium or Large size. 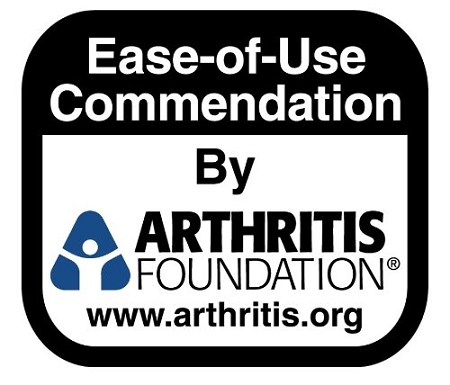 The Imak Arthritis Thumb Stabilizer has received the Ease of Use Commendation by the Arthritis Foundation. Material: Cotton Lycra. Not made with natural rubber latex. I found this to be rather restrictive and not as comfortable as the soft wrap-around ones I usually use. It immobilized the CMC joint, but I was uncomfortable with the solid pressure on the joint. It was also more of a nuisance to get off to wash my hands. Q: How do I size this? 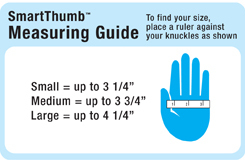 A: Measure across the hand along the knuckles. Small fits up to 3.25 inches, Medium fits up to 3.75 inches, and Large fits up to 4.25 inches.